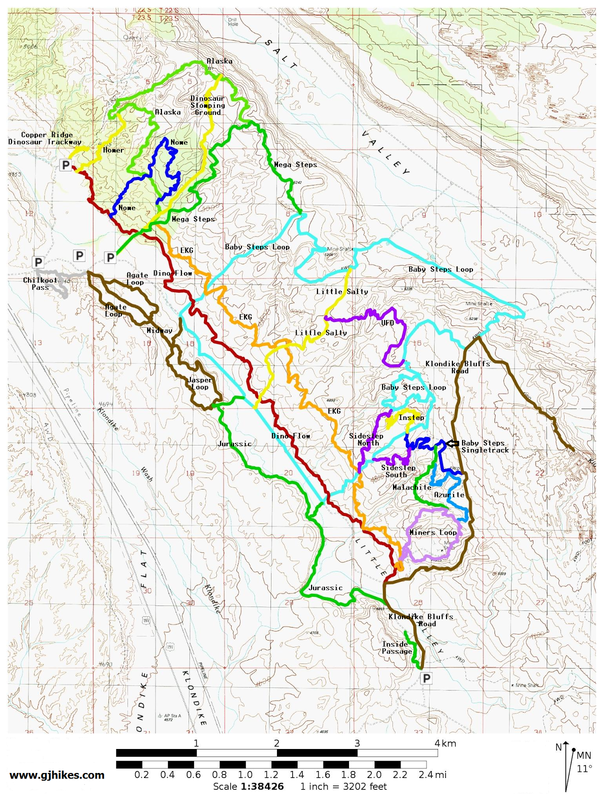 The Agate Loop is located in the Klondike Bluffs Area north of Moab, Utah. This easy trail makes a short loop around an area of Little Valley that is studded with some very fine specimens of colorful red and yellow agate. Rockhounds looking for something big enough to cab should have little trouble finding what they need. Families with younger children will find the trail a good choice for them to hone their skills on. 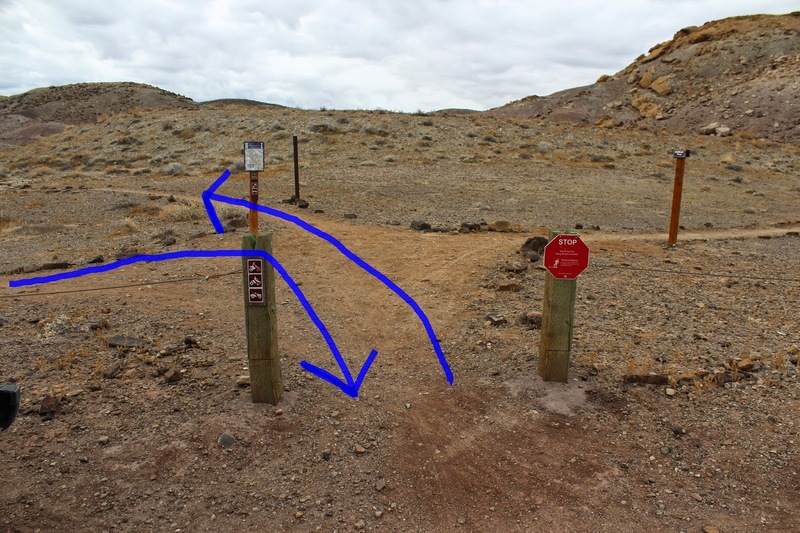 For this post we began by following the Agate West trail and rounding the loop in the counterclockwise direction. The singletrack trail heads out across Little Valley. As you can see there isn't much that grows here. As it continues the trail makes an easy climb along the side of the hill. Most of the agate along the trail is concentrated in 2 main areas. We have seen people on foot hiking in places the trail doesn't go so maybe they are also finding agate elsewhere. That is unless they are looking for something else or just exploring. 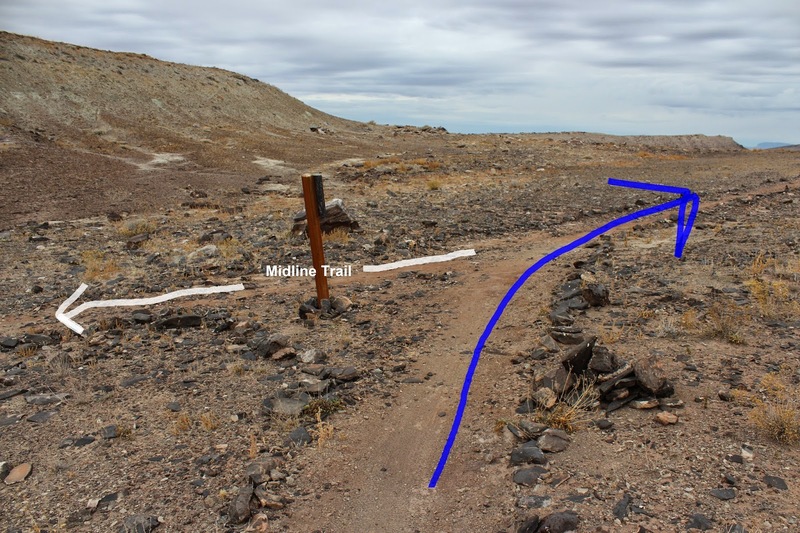 The Agate Loop is bisected by the Midline trail. At this point the Agate West trail transitions to the Agate East trail. 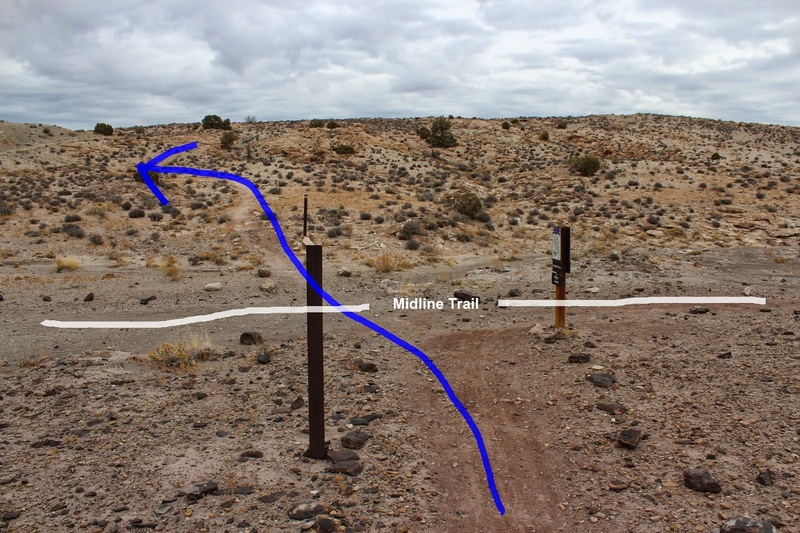 The Midline trail begins near the trailhead off of Agate East and continues from there to the Jasper Loop. One of the other areas of agate concentration has samples that are blood red, orange and even black. At the 1.46 mile point of the loop the spot is reached where the Midline trail begins. We completed all of the trails in the Klondike Bluffs Area during the winter of 2014/2015 over the course of several months. The snow that fell lasted only a day or two before it melted. As soon as the roads were dry enough mountain bikers, hikers and trail runners would come flocking back in. Since the Agate Loop is closer to the highway it is a little easier to get to when the road is muddy. If you would like to see it for yourself then all you have to do is grab your bike or 'Take a hike'.